Can migration of soil microbes promote tree seedling tolerance to drying conditions? Are microbial bodies the stable carbon we seek in tropical forests? From the deserts of the Great Basin to the forests of Campinas: How is immune defense mediated by host use, phytochemistry, and the caterpillar microbiome? Does long-term warming alter resilience of peatland microbial communities to climate extremes? Does the response of soil nitrogen dynamics and microbial community to an artificial rainfall differ depending on the forest type, especially the mycorrhizal type? Do root associated microbes facilitate the invasion of the Norway maple? Multivariate and graphic based assessment of microbial influence in soils: A new approach for separating the wheat from the chaff? 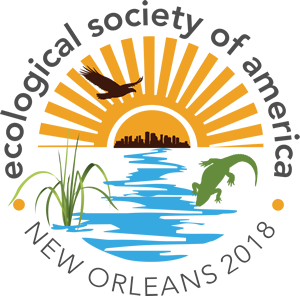 We’re excited to welcome ecologists to one of the world’s most culturally and historically rich cities. It’s never too early to start planning your trip.